Faro Vintage Guest House offers sunny rooms with free Wi-Fi, colourful décor and a balcony overlooking the streets of central Faro. It features a spacious sun terrace with umbrellas and wooden bistro tables and chairs for relaxing. Located in Faro downtown, half-way between the train and the bus station, the 24-hour Residencial Avenida features en suite rooms and free WiFi access. Each accommodation has a fan, a cable TV, and some include a balcony or a terrace. 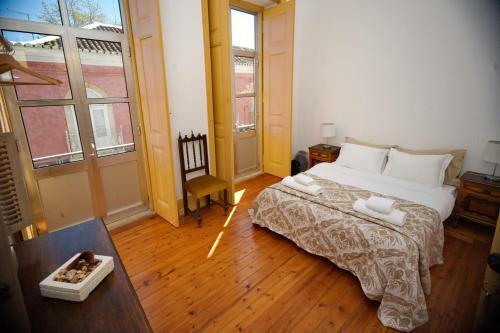 Ideally situated in Faro’s historic city centre, just a 5-minute walk from the marina, this traditional guest house offers rooms with free Wi-Fi. Facilities include a 24-hour reception.